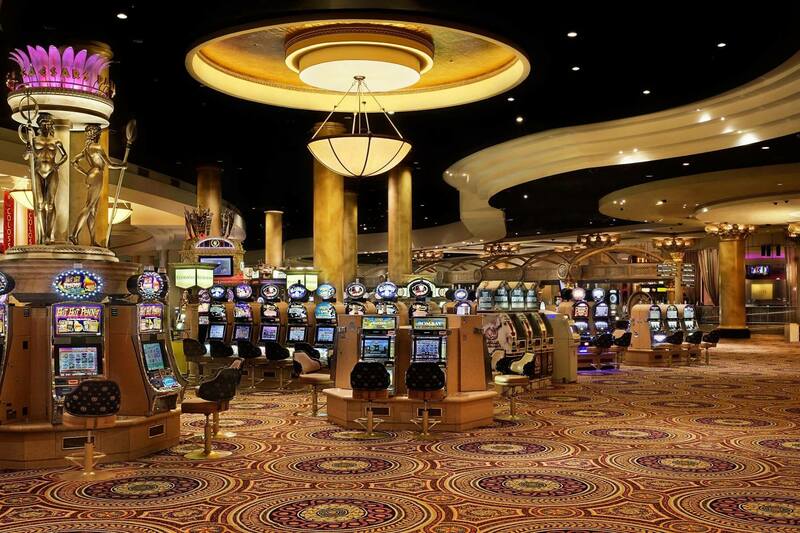 A casino should be more than just slots and tables and these casinos demonstrate exactly just how it should be done. Macau is known as the ‘Monte Carlo of the Orient’ and is home to some of the most luxurious casinos in the world. The Venetian Macao has a 550,000-square-foot gambling area with 3,000 slots and 750 table games, and the hotel is made up of 3,000 all-suite rooms. Boasting over 100,000 square feet of gambling space with more than 500 table games and 840 slot machines, The Wynn Macau also has a 54,000 square foot shopping complex, 1000 ultra-extravagant rooms, 6 gourmet restaurants, and a world-class spa. Having opened nearly half a century ago, the name Caesar’s Palace has become synonymous with Las Vegas and the ultimate in luxury. The lavish rooms and 166,000 square feet of gambling space have redefined excess and the huge spa features Roman baths, elaborate mosaics, and classical architecture. The City of Dreams in Macau cost $2.1 billion to create and was opened in 2009. Featuring 420,000 square feet of gambling space with 550 table games and 1,500 slots, the casino resort also houses over 20 restaurants. This might come as a surprise to many, but Las Vegas isn’t in fact home to America’s biggest casino. That honour is bestowed upon Ledyard, Connecticut and the Foxwoods Resort and Casino. With 4.7 million square feet of gambling space spread across 6 casinos with over 7,000 gaming machines and 17 different types of table games, as well as one of the world’s largest bingo halls, Foxwoods is good enough to rival your favourite online roulette NZ site! The MGM Grand boasts an enviable 171,500 square feet of gambling space with 139 table games and 2,500 slot machines. Skylofts, the luxury hotel which sits atop the MGM Grand, offers the utmost in exclusive luxury. Resorts World Sentosa, off the coast of Singapore, is one of the most expensive properties ever built and cost nearly $5 billion. Home not only to a casino with 2,400 slot machines and over 500 table games, but also 6 hotels, a Universal Studios theme park, Adventure Cove Water Park, and a Marine Life Park. Marina Bay Sands in Singapore is home to the largest atrium casino in the world with 500 gaming tables and over 2,500 slot machines. If you aren’t in the mood to try your luck, head to the 57th floor SkyPark which houses a 500-foot infinity pool that feels as if you’re floating atop the city with a 360-degree view. The Grand Lisboa, located in Macau, was designed to look like a bird cage and stands out as one of the city’s most noticeable landmarks. The casino is crowned by a massive LED dome made up of more than a million LED lights. The interior lives up to the beaming exterior, boasting 1000 slots and 800 table games. Not only is the Kurhaus one of the most extravagant casino resorts in the world, it’s also one of the oldest. Built in the 1820s to represent Imperial German luxury, the Kurhaus of Baden-Baden is known as one of the most exclusive casinos in all of Europe with 113 slots and 24 gaming tables.